Chocolate covered strawberries are an oft-given Valentine’s Day gift, but if you’d rather wait to buy or make them until strawberries are in peak season, there’s another option available. 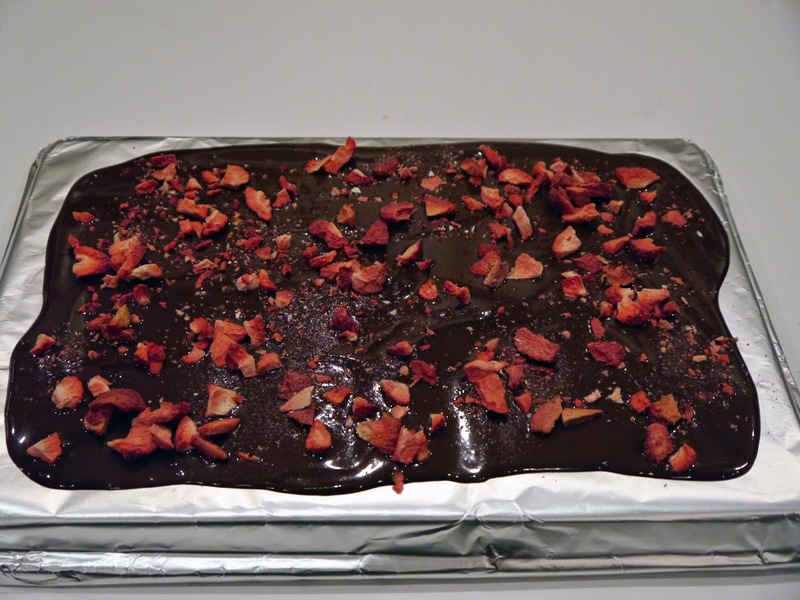 Chocolate bark topped with freeze-dried strawberries is a fun, easy-to make alternative to the classic. 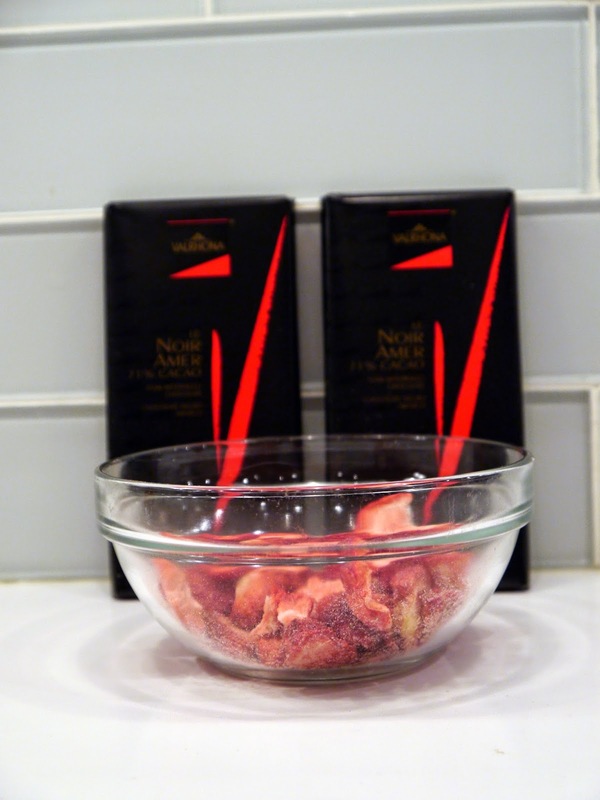 With only two ingredients and 15 minutes, you can produce a tasty gift or treat! 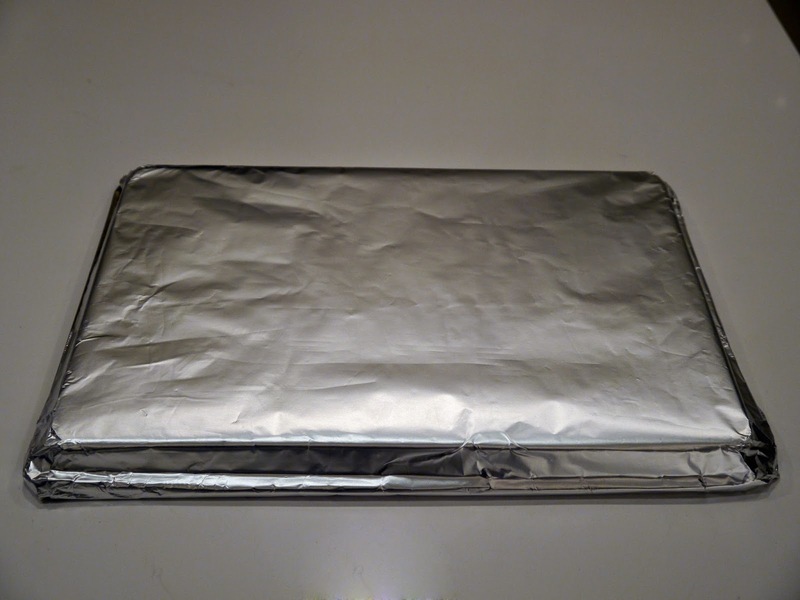 Overturn a baking sheet and place a piece of foil on top of the back side. Set aside. 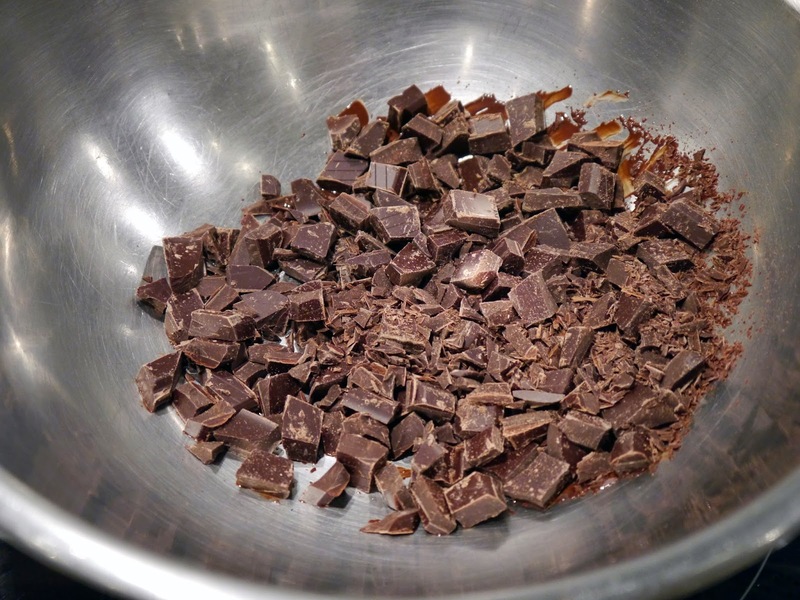 Place the chocolate in the top of a double boiler or a heat-proof bowl set over a pan of simmering water. 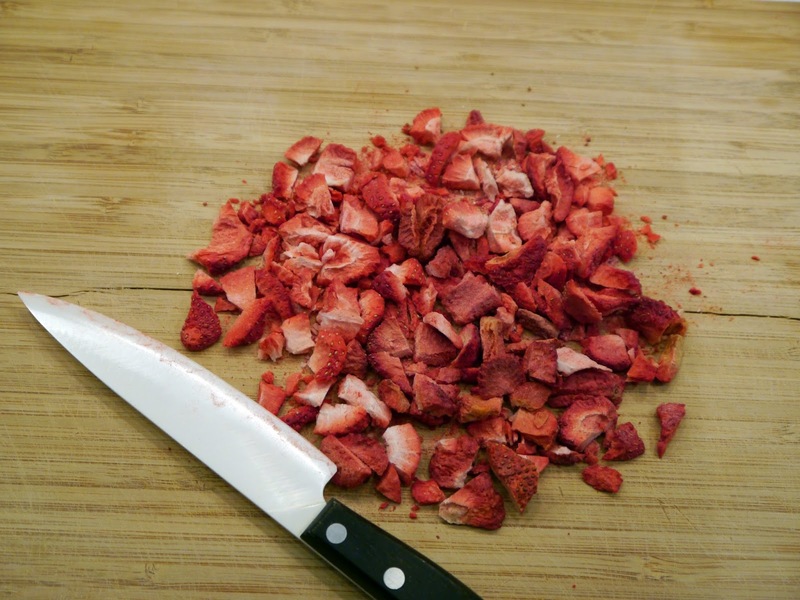 While the chocolate is melting, dice the strawberries (any freeze-dried fruit would work) into 1/4”-1/2” pieces. Set the strawberries aside. 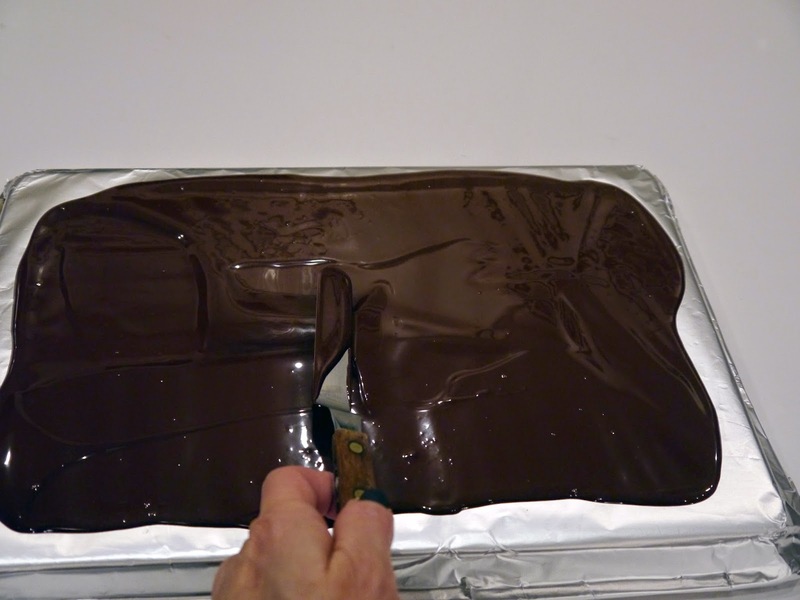 After the chocolate has melted, spread it evenly onto the foil-covered baking sheet. Sprinkle with the freeze-dried fruit. Allow the bark to set or place into the refrigerator to set more quickly. 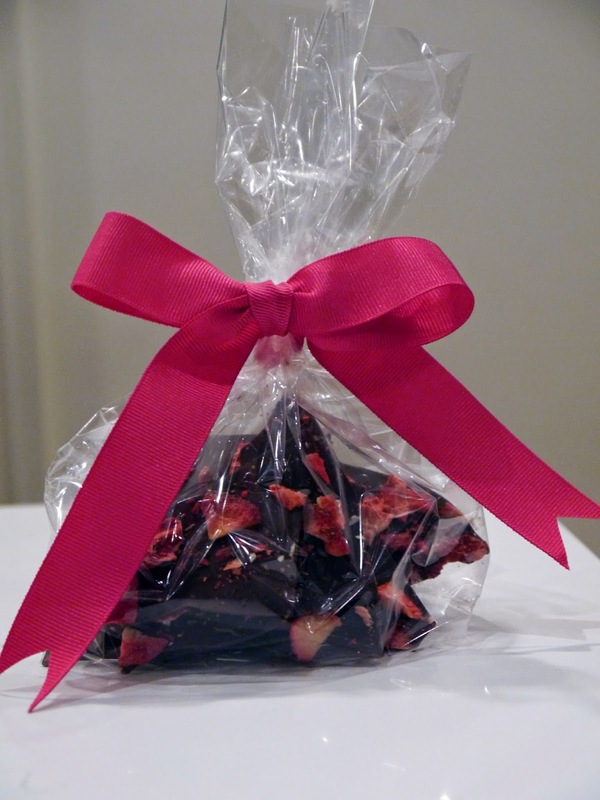 Break into pieces, place in cellophane bags, and tie the bags with ribbon.